Through our experiences as healthcare providers and parents of children with food allergy, we have learned that families do well when they know the facts about food allergy and what they can do to keep their children happy and safe. That is why we created this handbook. This handbook is meant to teach you important information about food allergy, suggest ways to educate your child and others, and offer helpful tips and support. 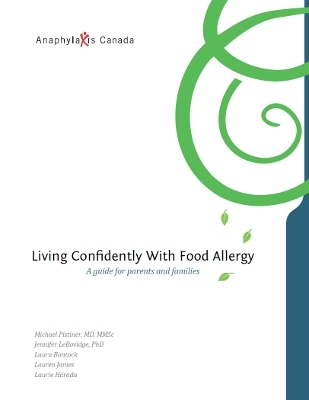 We suggest that you go through the “must-read” sections of the handbook first, from Frequently Asked Questions to Managing Food Allergy at Home. Then read the other sections as you need information. You can go at your own pace. To help you understand and build skills, we have put together a number of real-life exercises. We have also created a list of trusted resources about food allergies that you may find helpful. You can download activity sheets, exercises, and resource sheets from www.anaphylaxis.ca and www.AllergyHome.org. Please keep in mind that this handbook is a resource to help you learn. It does NOT replace advice from your child’s doctor. Speak with your doctor directly if you have questions or are worried about your child. We hope that the information in this handbook will help you and your child to feel confident about handling food allergies!